Richard Donham, better known to his friends and around the traditional customs scene as “Burl” is a true to heart Californian that somehow was misplaced into the hot and humid metropolis of Houston, Texas. His roots and style are deeply seeded in skating and surfing; evident by the number of boards that line his garage and patio. A long-time member and treasurer of the Los Cochinos Car Club of Houston, TX he’s happy to extend some Texas hospitality in the form of some fresh gulf shrimp chased with an ice-cold Tecate with a lime and salted rim; something yours truly is on the hook for on the next visit to Houston. Always up for a cruise night or cruise by the boardwalk and beach in Kemah, a suburb of Houston, we hopped in this pristine custom with Burl and headed straight towards the beach. With Houston’s long history in the oil and gas industry, there’s no shortage of high-end euros, Maserati’s, Porsches, etc. lining the streets. 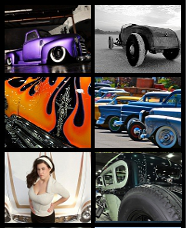 But take one Gambino Kustoms built, traditionally styled 1940 Chevy Coupe scrapin’ the pavement and those same euros-rides suddenly fade as the spotlight shifts to the kustom and whatever tunes happening to be pouring out of the windows. Burl picked up the Chevy coupe from famed builder Alex Gambino of Gambino Kustoms of San Jose, CA. As with anything that rolls out of Gambino’s shop, the ’40 followed a methodical build with heavy attention to the even the most mundane detail… But that’s what sets the great kustoms apart from the good ones – the details. Details like a channel so deep the running boards touch the ground when the air bags are completely deflated. Styling cues such as shaved door handles and badges add traditional touches to the coupe, and the retention of certain trim pieces such as those along the hood, doors and rear quarter highlight the vision and eye for detail of the builder. But it’s the copper suede paint that one- ups any ride with the misfortune of being parked next to it at a show or parking lot. Under the hood, Burl keeps it old-school running a 235 inline 6-cylinder with subtle chrome accents; so clean you could eat off of it. The gears are rowed via a column shifted “3 on the tree” protruding from the meticulously restored dash with original gauges. Burl – dont chop it! I say no chop too. You’re right on the money now! Don’t change a thing this car is as hot as a Texas firey sunset. One of my top favorites. Don’t chop it, I’m a tall gal and that won’t work for me, I like to strech out like a cat in the sun sometimes. Truly look at this beauty (yes I was referring to the car), in the black and white photo it shows it off well. I would like to get a car like this. Just enjoy it! Nice eye candy with the car too. Great article and fabulous photos! Cool article brotha, chop that top, it will complete your car and you can move on to the wagon! Never misrepresented who I bought the car from . 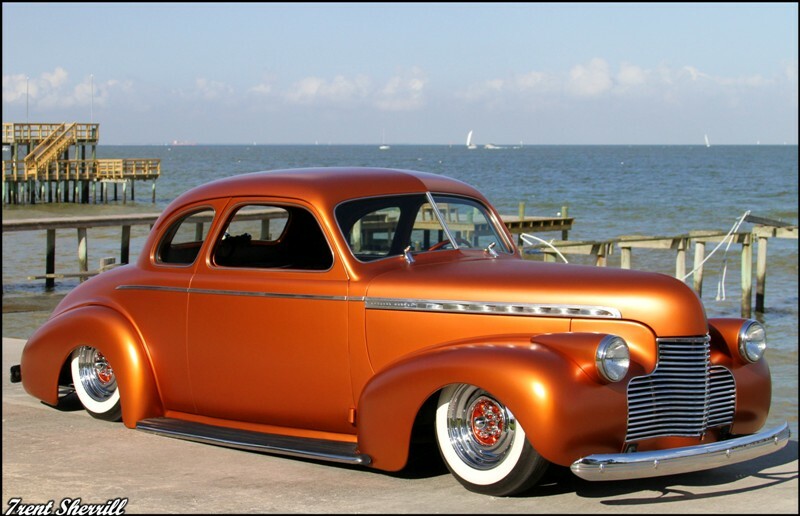 I think people just associate the car as the Gambino chevy coupe. Chop comming soon. Thanks Big Burl. Los CoChinos. Hate to hear of the chop, and I AM not one to NOT CHOP /OR SECTION SOMETHING,,,,.. Its JUST TOO REFRESHING TO SEE ONE THIS NICE…..I MUST BE GETTING OLD….. I hope you didn’t chop that imaculate car. Sell it to me. There are enough junkers left to butcher. Leave that one alone!!! I don’t believe it’s channeled. It has a Gambino super notch that let’s it lay the running boards on the ground. Super cool car. 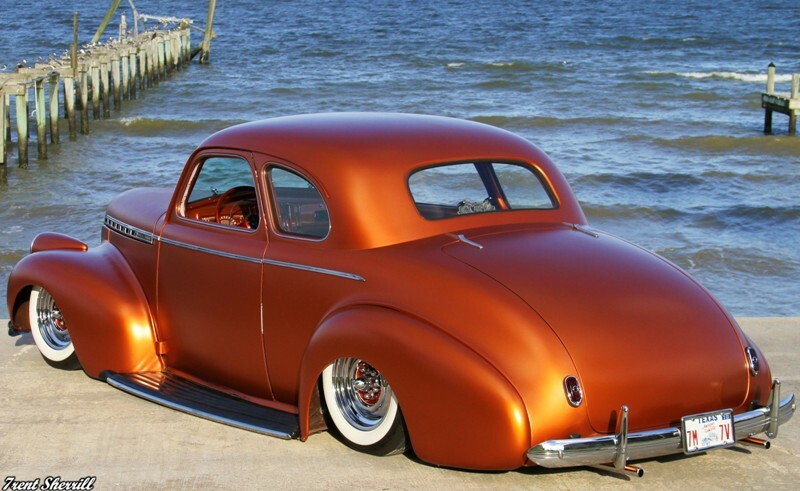 I am thinking of building a 40 chevy coupe now….